James joins Garland Nixon and Eric Ladny on Radio Fault Lines to discuss the WWI conspiracy, the lead up to the “Great War,” and parallels with today. Great to see that this stuff is being broadcast on real radio stations and not just the Internet. I think that will become more important as time goes on. It was quite by accident, I tunned into the station mostly to hear the music they played but kept listening while the played some alternative documentaries. 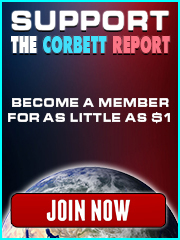 With increasing control over what appears in search engines, radio may be the last place where you can reach new people who out of the blue just don’t think to type http://www.corbettreport.com into their web browser. “I’m disappointed with the outcome, but I certainly respect the democratic process.” Calgary voted against hosting the 2026 Olympic games. 54% no to 46% yes. See…? Democracy works. The moral of the story…. Every Vote Counts. This little piece of social engineering cost us millions of dollars. My peers continue their daily worship… paying willingly for their regular dose of media propaganda… teetering on the edge of their seats, biting their nails, fretting over the outcome of the latest most-important-election-in-human-history. Can anybody recall a “vote” in recent years that wasn’t a photo-finish 51 to 49% hand wringer? Who wants to stick around and watch the hockey game when it’s 7 – 0 after the first period? Haha yes, very true. It’s like a real life TV drama or a sporting event. If anything, it reminds me most of pro wrestling because of how fake and grand everything is. Well , this did inspire me too. To take my self out into the town hall lecture at our local performing arts center for a lecture ( tax payer funded?) on alzheimer’s. Lisa Genova PhD in neuroscience from Harvard , Best selling author: Still Alice, Every Note Played, Inside the O’Briens,Love Anthony and Left Neglected. 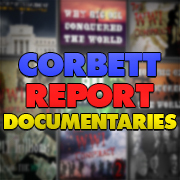 One hour and thirty minutes of pure Rockefeller rubbish. Big Pharma BS. 23and Me genetic rubbish. I really felt a coward to have sat there with >3000 people and listen to that rubbish and not spoke up or out against the paid lying scientific fraud this woman represented. It was devoid of causality. Except for the one fact she did proclaim that 1% of the 1 in 2 people in the audience that will die of alzheimer’s will have a genetic predisposition to alzheimer’s. 1%. S#;t you have a better chance of being struck by lighting! What about the other 99% ? No mention of Dr. David Keith PhD. fellow psychopatalzheimer’s.from Harvard who publicly postulated that millions may die because of his stratosphereic aerosol spraying of aluminum nano particulate or of Dr. Exley PhD of Keenes University England peer reviewed papers on the direct link of aluminum uptake and alzheimer’s disease. Nothing said but that there was no cure and no idea WHY your going to get it. > 2999 people laughed at all her jokes and sat silent as see lied for 1.5 hrs. To remain silent when you should speak up makes cowards of all. Im a fμ©¥¡Ωθ coward! Corrections: Chris Exley at Keele University United Kingdom. Yes FABlade jail time was in the cards. Considerations from the Big Oil Capitol of the World.